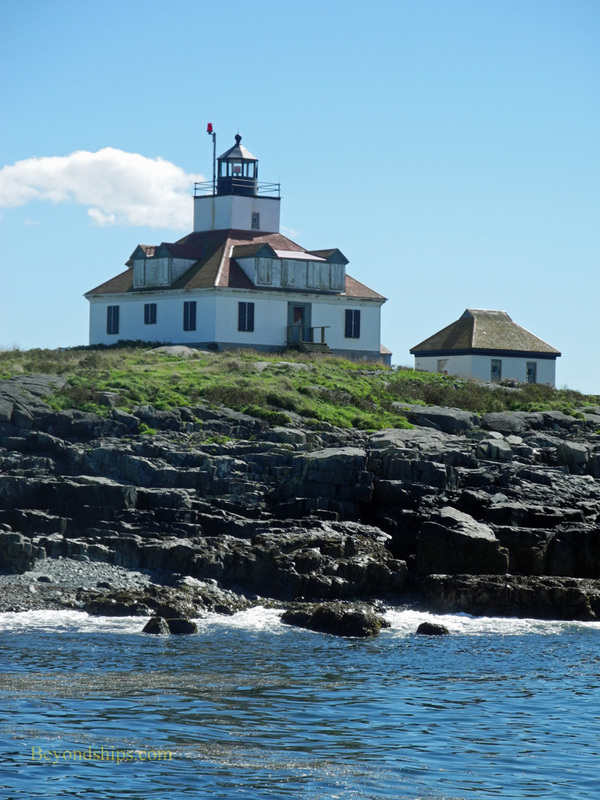 There are more than 4,600 islands off the coast of Maine. 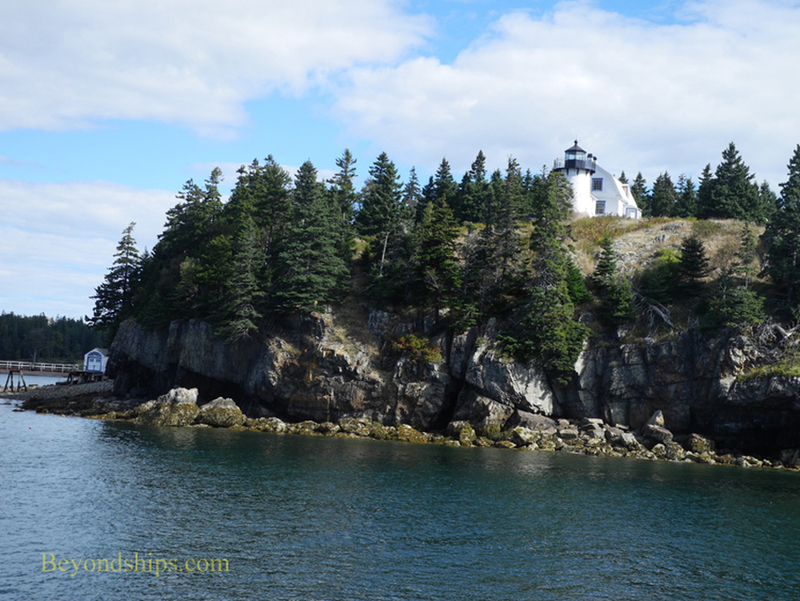 Bar Harbor is one of them - - Mount Desert Island. Nearby are many smaller islands. This maze of islands created a need for aids to navigation and so quite a few lighthouses were constructed in the area. Much of this area has been preserved as wilderness. 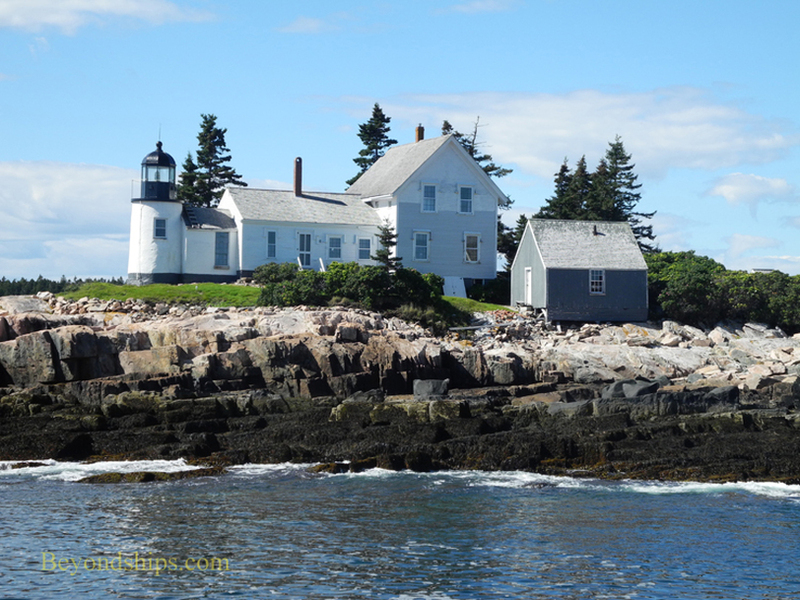 Indeed, the bulk of Mount Desert Island is encompassed within Acadia National Park. 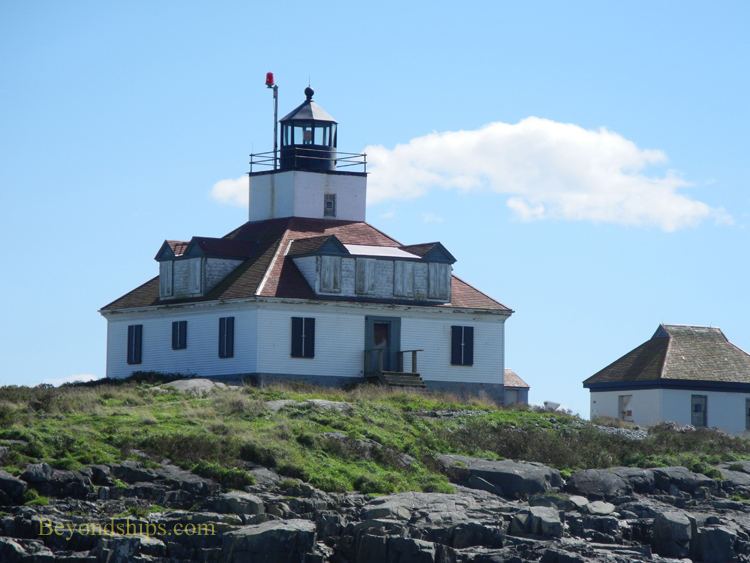 Consequently, the lighthouses are in relatively undeveloped settings. Because of this, on a visit to the area's lighthouses, you may well see bald eagles and ospreys as well as dolphins, seals and other sea creatures. In the 19th century, the rugged beauty of Bear Island, one of the Cranberry Islands that lie off of Mount Desert Island, attracted artists including Frederick Church and Albert Bierstadt. Nestled among pines and perched on a cliff overlooking the sea, its lighthouse still calls out for the artist's brush. The first lighthouse was built here in 1839. It was replaced by the current structure in 1889. 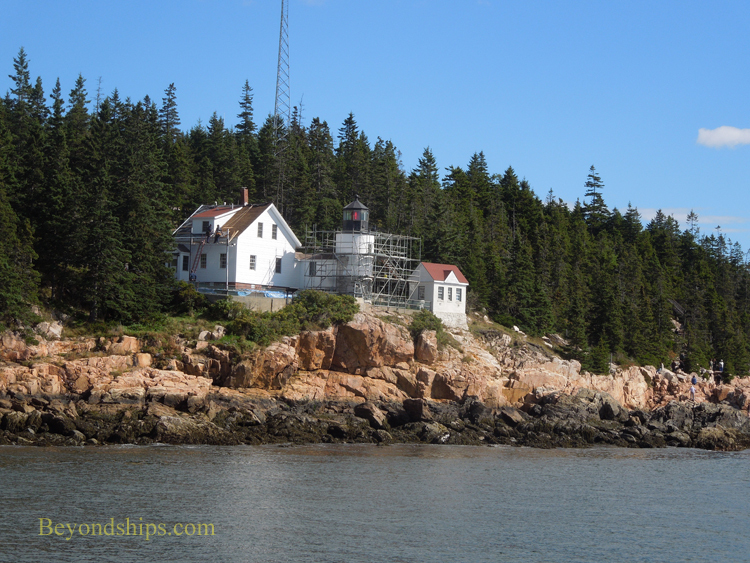 Bear Island Light was deactivated in 1982 but was relit as a private aid to navigation in 1989. The site is part of Acadia National Park. However, the property is leased as a residence to a private party and so the lighthouse is not open to the public. 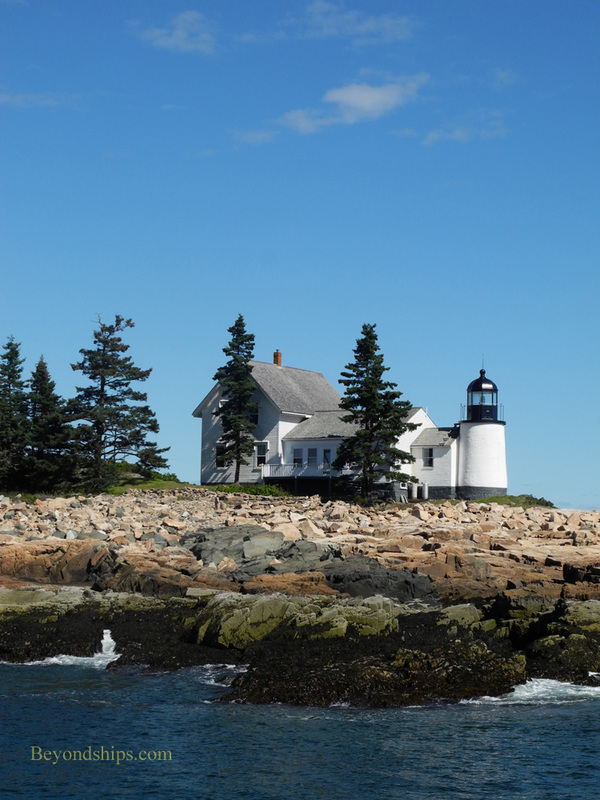 Pictured on the back of a quarter issued in 2012 as part of the U.S. Mint's "America's Beautiful Quarters Program," Bass Harbor Light is another lighthouse that has attracted artists. The light was first lit in 1858 and continues to be an operational aid to navigation. Its former keeper's house is used by U.S. Coast Guard personnel. The site is open to the public but the lighthouse itself is not. In the 19th century, the Life-Saving Service would go out in storms in small boats to rescue people whose ships were in distress. It was merged with the Revenue Cutter Service in 1915 to form the United States Coast Guard. 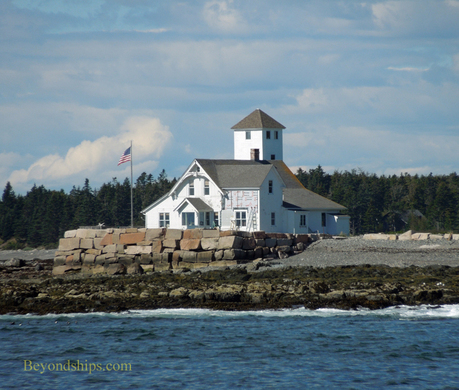 Looking somewhat like a lighthouse is the former United States Life-Saving Service station on the southeast point of Little Cranberry Island. It was built in 1879. 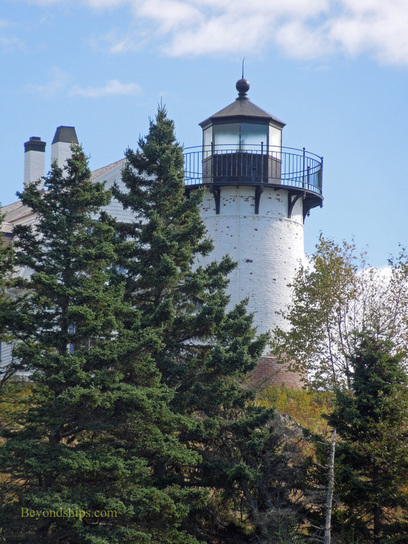 Located across Frenchmen's Bay from Bar Harbor, the Winter Harbor lighthouse was built and began operation in 1856. The keeper's house was added in the 1870s. 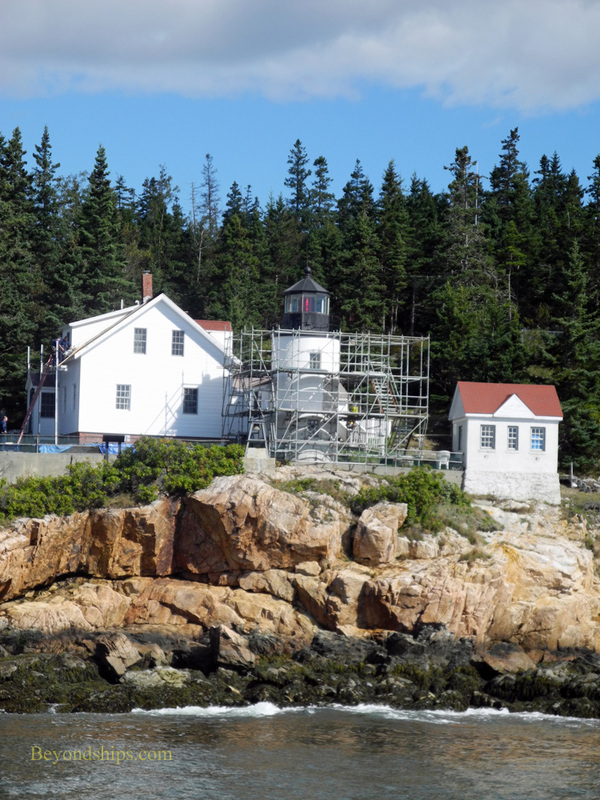 No longer an active aid to navigation, the Winter Harbor Lighthouse is now privately owned. On a desolate rock ledge at the mouth of Frenchman's Bay is the Egg Rock Lighthouse. It began operation in 1875 and remains an active aid to navigation. It is now automated and so no one lives on the island. Since it marks the seaward approach to Bar Harbor, cruise ships calling in Bar Harbor pass by it.